The workshop focus was to develop ideas for vacant land in inner city area. 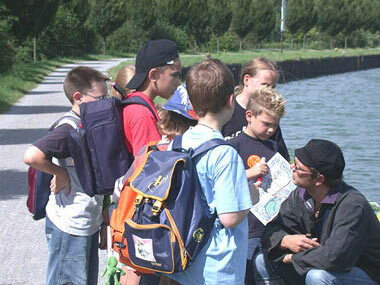 The children discussed and explored the potentials and constrains of an underutilized area. Interviews were held with neighbors as well as picture collages for animals were produced to illustrate different needs that could be considered when producing ideas for new land uses. Ideas were then implemented in one model. The results of the project were presented to the parents by a public presentation and covered in the local newspaper. Outcomes: The workshop raised the awareness of the children for needs of different users as well as the issue of vacant land in inner cities. Partnerships: JAS – Jugend Architektur Stadt e.V. in co-operation with Europäisches Haus der Stadtkultur e.V. in Gelsenkirchen. 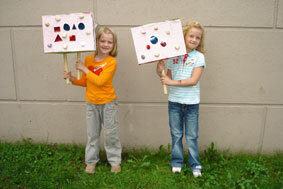 The aim of the workshop was to work on different design topics that reflect in the city’s environment. 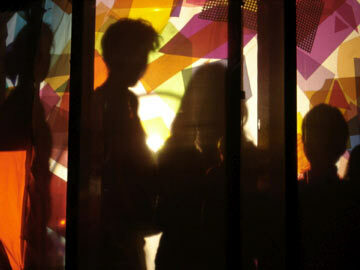 The children were invited to explore different topics where design meets the city. They could chose between following working groups: (1) systems of orientation in the city, (2) urban furniture, (3) interventions in the cityscape, (4) temporary architecture and (5) atmospheres in the city. 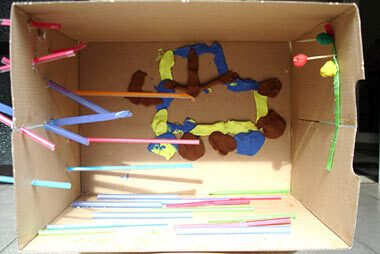 Each group worked then with different methodologies but finalized in model making. 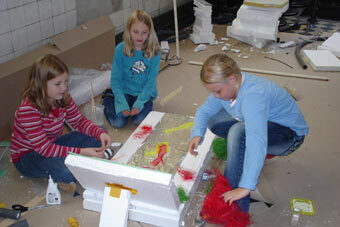 Outcomes: The workshop showed the children a range of areas where design meets the city’s environment. Partnerships: JAS – Jugend Architektur Stadt e.V. in co-operation with stadt.bau.raum Gelsenkirchen. The aim of the workshop was to strengthen the children’s awareness of the interdependence of light, space, and atmosphere. Based on the story of Emma, Lukas and a mysterious Shadowman and their adventures, the children were invited to explore different sceneries of light and space: an illuminated gardens, the fair with its colourful lights, the dim tent of the sibyl, the ice-blue lake, the Forest of the long Shadows, and finally the cave of wizard. 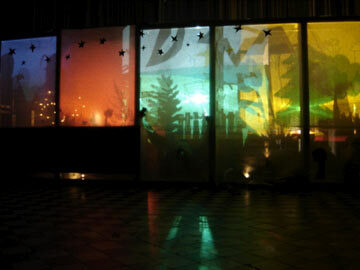 In small groups, these sceneries where translated into several light-installations (using overhead- and slide-projectors). 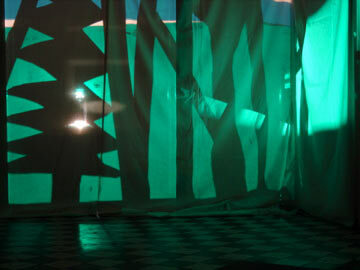 The installations were finally presented to the parents in a story-telling performance. Outcomes: The workshop supported the children’s awareness of light, space and their interdependence, as well as their ability to create different atmospheres by the means of light, space and colour. Aim of the workshop is to explore inner city neighborhoods to find their peculiarities and to sharp the children's awareness for possibilities. Second step is then to secure impressions and ideas for implementations in different forms. 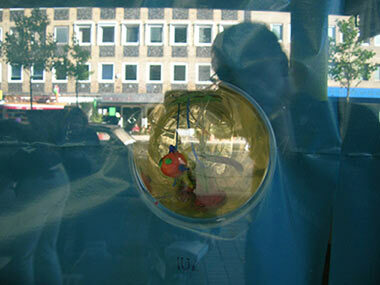 The workshop will be located in an empty store in the neighborhood Dortmund-Nordstadt. The store is the starting point for excursions to explore the possibilities of a rising number of empty store locations in urban neighborhoods. The children are asked to develop ideas and visions for how this shops could be used in the future. These ideas will be transferred into models, drawings, and stories and presented in a public exhibition. Extra: Playce-member will be invited to a preparation session to discuss experiences and methodological approaches for workshops. The workshop was about an empty department store in the heart of Hamburg-Altona, which is currently used for cultural events such as exhibitions, performances and concerts. The children and youngsters were invited to explore the place, its secrets and its atmosphere, in order to find new temporary ideas for uses of the place from their point of view. They visualized their suggestions in collages and built „transformers“ - little machines that change the acustic, visual or haptical impression of a place in order to create the suggested atmosphere. 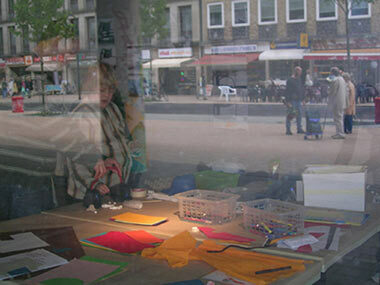 The results of the workshop were then shown within the scope of the exhibition „Visions for the Centre of Altona“ in the ex-department store. The workshop supported the children’s awareness of spatial atmospheres and potentials and strengthened their ability to suggest and present new uses. The space between Dortmund-Ems canal and the river Emscher is an unknown territory not only for children, but also for many adults, who live in Dortmund. Goal of the workshop was to discover this unknown territory with all senses and to find its possibilities for being an unusual public space. 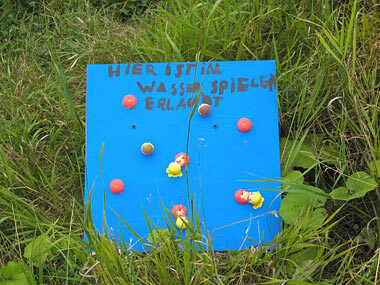 The children were asked to locate and to sign places, which they would like to use and to explore. Parents and siblings were then invited to take part in an excursion, where the children presented the newly-discovered places, which where symbolically signed with a self-made-signboard. The workshops shaped the children's awareness for unusual places and strengthened the children's ability to think and to propose new uses.